Today’s younger generation of highly skilled and high-performing workers are trading job security for more freedom, fast-track growth and substantial tax savings by joining the flexible workforce. Organizations who wish to tap into the best and brightest talent must increasingly turn to independent contractors (IC) also known as freelancers, to fulfill their talent requirements. However, across many jurisdictions, retaining independent contractors comes with the growing risk of misclassification: classifying individuals as IC / 1099 workers when they are, in fact, employees. Independent Contractor (IC / 1099) Payment Solutions enable organizations to avoid misclassification challenges by the IRS, Revenue Canada, DOL and other state / provincial, and federal agencies, as well as streamline their procurement and payment process. Why choose a vendor neutral contingent workforce advisor to manage your IC payments and compliance needs? By working with HCMWorks, you can be confident that your valuable contractors stay with you until the work is completed. HCMWorks has no revenues associated with staffing. Therefore we have no incentives to ‘poach’ your contractors for placement with other clients at far higher mark-ups mid-way into their mandates. In addition, being ‘pure play’ contingent workforce experts and advisors means that HCMWorks is a leading authority on the complexities and risks surrounding the non-employee workforce. These are two decisive competitive advantages that our clients greatly value when selecting us as their partner. 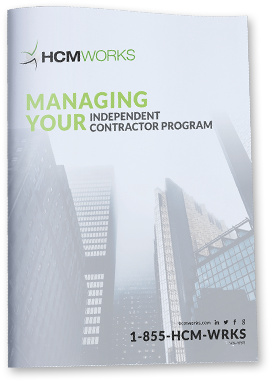 HCMWorks will engage your 1099 / IC workers directly, on your behalf, screen and vet them, ensure that they are actually qualified to be classified as an independent contractor, and manage the full contract lifecycle. The best and brightest consultants, freelancers and contractors, without misclassification risks. We stay current with the changing regulatory landscape and continuously update your independent contractor program. We screen all 1099 / IC workers according to your requirements, from drug testing to security clearance and everything in between. More than just a cursory overview. 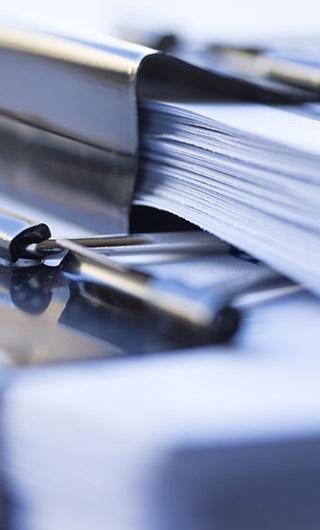 We dig deep to ensure that each resource is actually qualified to be classified as an Independent Contractor. HCMWorks will ensure that you fully optimize your risk mitigation by eliminating any unnecessary risk exposure, through our thorough analysis of your current processes and contractor management and engagement practices. 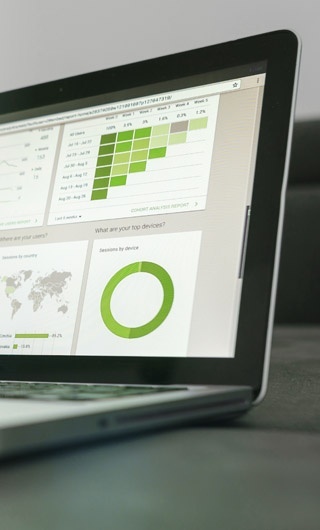 We manage the full contract lifecycle from start to finish and provide the added advantage of a single consolidated invoice for all IC / 1099s retained by your organization. A good contract is not enough – no matter how good your lawyers are. There’s more to retaining independent contractors than meets the eye. Our IC / 1099 payment solution is your best insurance policy against misclassification risks. All retained contractors will have successfully passed our 20-point test and their eligibility is fully documented and confirmed. You can rest easy knowing that you are protected, and fully indemnified against any local, state / provincial or federal legal action.